Lava flows, naturally, are hot when they erupt. So if a lava flow crosses ground saturated with water or ice, you could expect an explosion — and that'd be right. The water turns to steam and blows through the lava flow (assuming the flow isn't too thick). 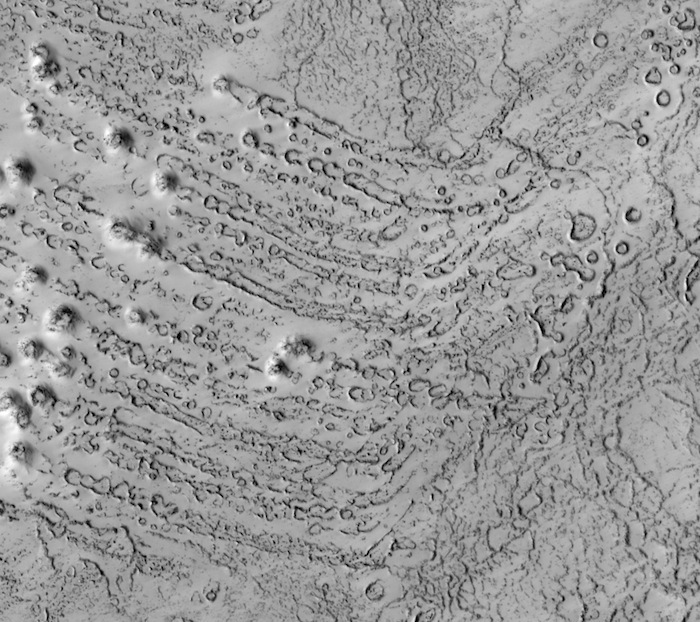 This creates features on the lava flow that look like a field of small cinder cones. 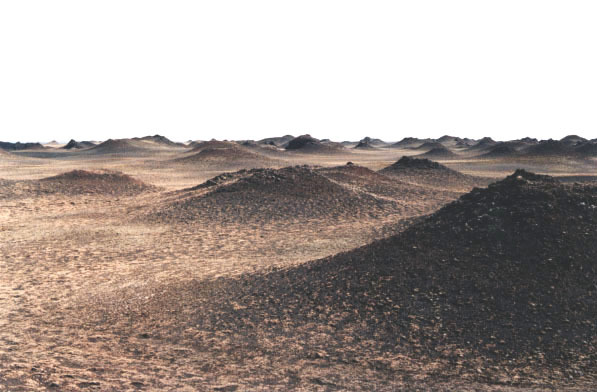 But because the cones are not connected to any deep source of magma, scientists call them "rootless cones." Such features often cluster into groups or chains, which are clues that the area once held a lot of groundwater or ice.